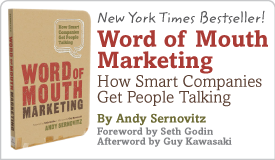 You Can be an Email Marketing Supergenius #111 | Andy Sernovitz | Damn, I Wish I'd Thought of That! Is My Newsletter Any Good? Want to figure out if your subscribers think your newsletter is any good? Create a marketing vacuum period -— a week or two when you commit to not advertising your newsletter. Your Word-of-Mouth Quotient is simply the number of new subscribers to your newsletter over this period of time divided by the number of unsubscribes and bouncebacks. If the number is greater than one, you’re doing well. 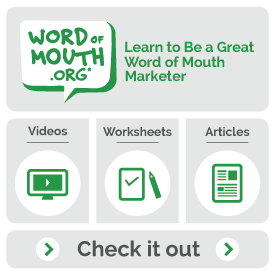 Your newsletter should be able to survive and grow, even if slowly, based on word of mouth alone. If it’s less than one, you need to adjust your content and make it more interesting or relevant. Design your newsletter to win customers, not subscribers. How much business you generate is more important than the size of your list. If you are getting genuine prospects and new customers from your newsletter, it doesn’t matter if your subscriber base is 2 million people or 200. Focus on reaching the people who matter to you — not the entire world. If you aren’t getting fresh sales leads from every issue, narrow the content to better hit your target audience. In a word — Buzz. There is nothing we like better than meeting a new potential customer at a trade show, and having them start the conversation with “I know you! I get your newsletter.” Do people in your circle get your newsletter? Your newsletter is your advance team, and it should be working to build your brand before you make the first call. If people in your target audience don’t already know you from your publication, you are doing something wrong. Advertise your newsletter directly to your target market and tweak your concept and make sure the people who you want to reach are reading what you write.